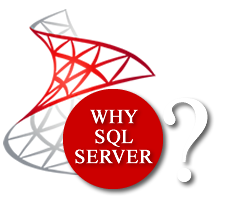 Microsoft SQL Server is a comprehensive database server and information platform offering a complete set of enterprise-ready technologies and tools that help people derive the most value from information at the lowest total-cost-of-ownership. Enjoy high levels of performance, availability, and security; employ more productive management and development tools; and deliver pervasive insight with self-service business intelligence (BI). A complete and integrated platform, Microsoft SQL Server brings it all together to get more value out of existing IT skills and assets, increase the productivity and agility of IT departments, and quickly build flexible, innovative applications. Our SQL Server team have published Customer-ready SQL Server 2012 Upgrade Technical Guide, link. We encourage customers to upgrade to SQL Server 2012 using this guide (HOW TO UPGRADE), What’s New whitepaper (WHY UPGRADE) created by Joanne Hodgins, and other resources in this web site.